Pure essential oils with love. The ECO. 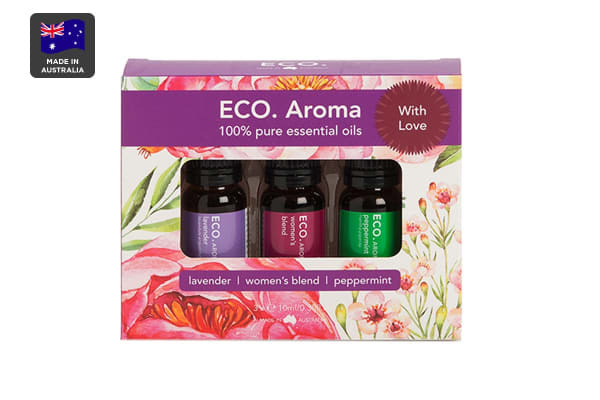 Aroma With Love Essential Oil Trio is pure and natural with number of benefits. 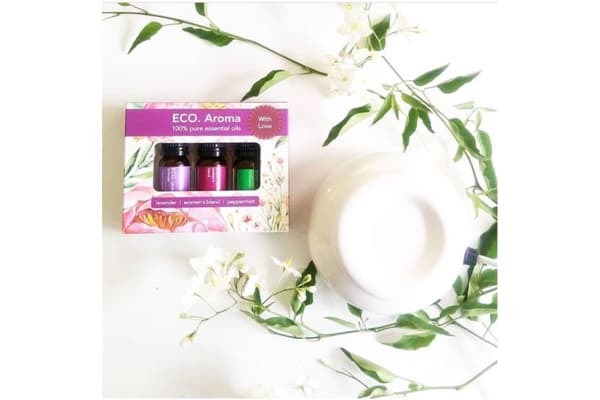 Women’s Blend Essential Oil is a beautiful blend of cedarwood, lavender, geranium and ylang ylang essential oils especially for women to help calm, balance and harmonise mind and body.